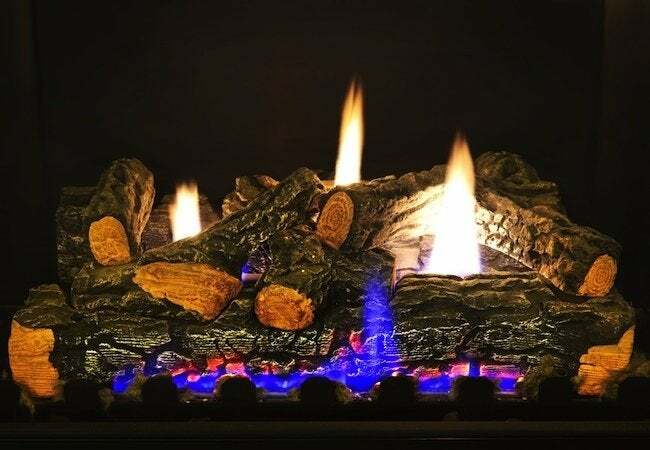 No mere annoyance, the sound coming from your gas fireplace may signal something serious. Gas fireplaces have been showing up in more and more homes the past few years. They’re clean, easy to use, and add a nice ambience to the home. A drawback, however, is the noises they sometimes make. If you hear a popping noise when the burner’s on, it may indicate that there are small leaks around joints in the burner assembly. To test for leaks, first turn off the burner. Once the ceramic logs have cooled off, remove them from the firebox. Next, mix a bit of liquid detergent with water and pour it into a spray bottle. Turn the now-exposed burner assembly back on and look for any small bursts of flame that appearing around joints. If you don’t see any, try spraying a little detergent mix on the various joints and fittings in the burner assembly. If you see bubbles, you’ve found the leak.If the leaks are around a joint in the assembly, use a wrench to gently tighten the fitting. If you can’t find a leak—or the leak you find appears to be a hole in the assembly itself—you’ll want to call in a pro. Gas leaks are serious business and need immediate attention.